I would like to convert my .AVI files to .MKV format with minimal quality loss. How can I do this? AVI is notorious for large space occupation and relatively out-of-date frame work that leads to bad compatibility with new audio video codecs. So the need of converting AVI files to MKV is in vogue, mostly for MKV's high quality retaining in relatively smaller size and easy holding of more contents such as audio tracks and subtitles. In response to the ever-increasing conversion demand from .avi to .mkv, this post will share some recommended AVI to MKV converter software to complete the task. With 320+ video codecs, it can convert AVI to/from MKV, MP4, MOV, WMV, etc. Convert AVI or MKV for playing on latest mobiles with 410+ readymade profiles. Build-in editor to edit, crop, trim video before video format conversion. Hardware encoder enables 3-5X faster converting speed than competitors. MacX Video Converter Pro is chosen as the best AVI to MKV converter based on the video converting features, ease of use, speed, quality and reviews from both users and tech giant sites like MacWorld. It owns powerful video transcoding engine and straightforward user interface, which satisfies nearly all your converting needs, be it AVI to MKV, MTS to MP4, MKV to MP4, H.265 to H.264, or YouTube to MP3, without taking more than 3 steps. According to an editor from 9to5Mac, the full application of hardware acceleration tech manages to delivers 5X faster conversion speed without much space occupation. 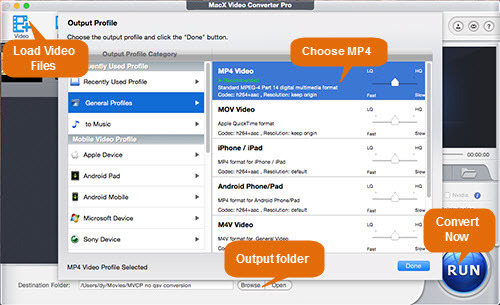 MacX Video Converter Pro is a lightweight video converter. Feel free to download it on your Mac or Windows platform and follow the steps below to conduct the conversion from .AVI to .MKV. Click Add Video button to import your target AVI video. One preferable feature is MacX Video Converter Pro supports batch converting videos, so you can add multiple AVI files at a time. In the Output Profile, choose MKV under HD Video category as the target output video format. Built-in 410+ readymade profiles, MacX Video Converter Pro allows you to directly transfer AVI or MKV videos to the latest iPhone X, iPad Pro, Samsung Galaxy S8, etc within a click. Click Browse button to set the destination folder and tap RUN to start converting video from AVI extension to MKV extension. It won't take long to accomplish the task. Note: You can manually adjust the video parameters, such as video resolution, frame rate, bit rate, codec, etc to either compress AVI to smaller size or achieve to deliver the best possible quality. Besides, you can also add subtitles to MKV file before the conversion. There are also free solution to do the conversion job from AVI to MKV. Some people would like to choose online converters to do the job, since they don't have to install any third-party software to waste any computer space. But this must be realized at the cost of internet connection, let alone the lengthy AVI video converting and the risk of adware, malware or virus infection. So a more reliable way is to seek for a trustworthy free video converter for Mac or Windows like Handbrake, which is well-received for freely convert videos like AVI to MKV or MP4. You can click the Handbrake tutorial to convert video successfully. Both MacX Video Converter Pro and Handbrake work well in converting AVI format to MKV. For better converting result or features, you can take a look at the comparison below. 410+ device profiles for the latest mobiles, including iPhone X, iPhone 8, Samsung Galaxy S8, PS4, 4K Apple TV, YouTube, etc. General profiles for iPhone, iPad, Web video, etc. What is MKV: MKV is an open-source multimedia container holding unlimited number of video, audio tracks, images, subtitles, etc into a single file. It is known for storing movies and TV shows and observing high quality. MKV codec is much needed if you want to play files on Mac or Windows. What is AVI: AVI is developed by Microsoft in November 1992 as a part of windows technology. Files in AVI contain both audio and video data, allowing for synchronous audio-with-video playback on Windows-based platforms. But it is not as widely accepted on Mac as on Windows. You cannot play AVI on Mac directly but need video player or converter to do the transcoding before playing. 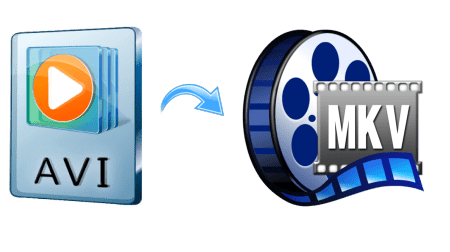 If you want to transcode AVI videos to MKV format, the no.1 fast MKV video converter - MacX Video Converter Pro will do the job for you - decode AVI videos to MKV and other files such as MP4, MOV, M4V, MTS, AVI, WMV, etc with fast speed and high quality.